If you are serious about owning the best 250 four-stroke on the track, the 2018 KTM 250SXF is a bargain at $8699. The second-most expensive bike in its class, behind its brother the FC250, the 250SXF is $700 more than the third-most expensive bike in the class (the 2018 CRF250) and $1000 more than the YZ250F. So, what gives? Power! Serious horsepower costs serious money, as do the best brakes, strongest clutch, lightest weight, best overall handling and electric starting. KTM gives it all to a buyer at an affordable price. How so? You would have to throw thousands of dollars at the “Big Four” Japanese brands to bring their power into the ballpark of the KTM 250SXF. You don’t only get a much better engine for that additional $1000, you get the lightest bike in the class, the best brakes, strongest clutch, electric starting and great suspension. If you buy any other bike off the showroom floor, you will be at a disadvantage when you get to the starting line. The Husqvarna FC250 uses the exact same engine and chassis as the 250SXF, but don’t think that they are clones. They aren’t. Why not? The FC250 airbox lacks ventilation, which suffocates the engine at low to mid rpm. This makes the power sluggish compared to the KTM 250SXF’s; however, all you need is a drill to get it to breathe. To make matters worse, the FC250’s 14/51 gearing works well at the Bonneville Salt Flats but not on a motocross track when combined with the slow throttle response. It’s worth it to spend $20 for a 13-tooth countershaft sprocket to liven up the power and tighten the shift points. 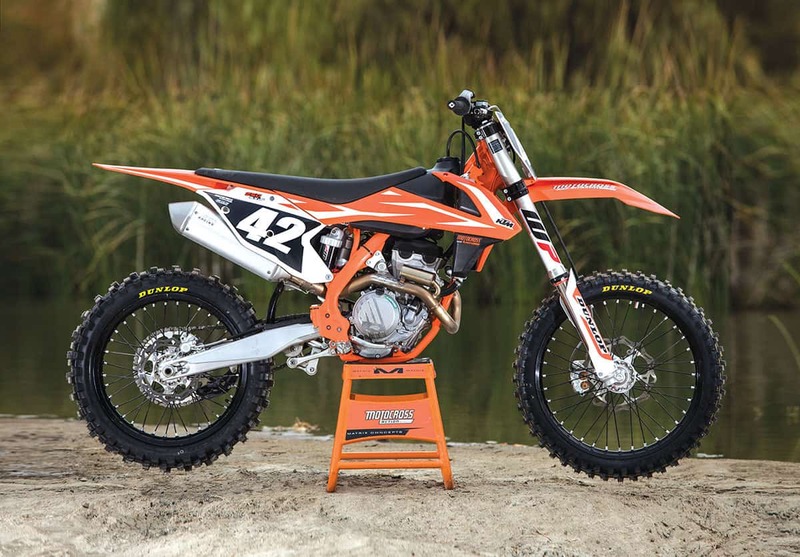 Compared to the KTM 250SXF, the FC250 is wider, lower and more forgiving than the 250SXF; however, with the FC250 being heavier and less responsive than the 250SXF, we can’t justify the extra $100 to buy one over the KTM, but we can justify spending the $1000 to buy one over its Japanese competition—if you are a serious racer. Most riders love to ride the 2018 Yamaha YZ250F, but for some test riders the bulky feel and lack of cornering prowess take it down a notch on the 250 four-stroke totem pole. The peccadilloes of this bike can be hard to accept given that there should be a totally new YZ250F in 2019. What riders love about this bike is the excellent response off the bottom and the strong midrange grunt. This power really barks out of a corner, but it signs off early and gives up horsepower to the KTM and Husky. 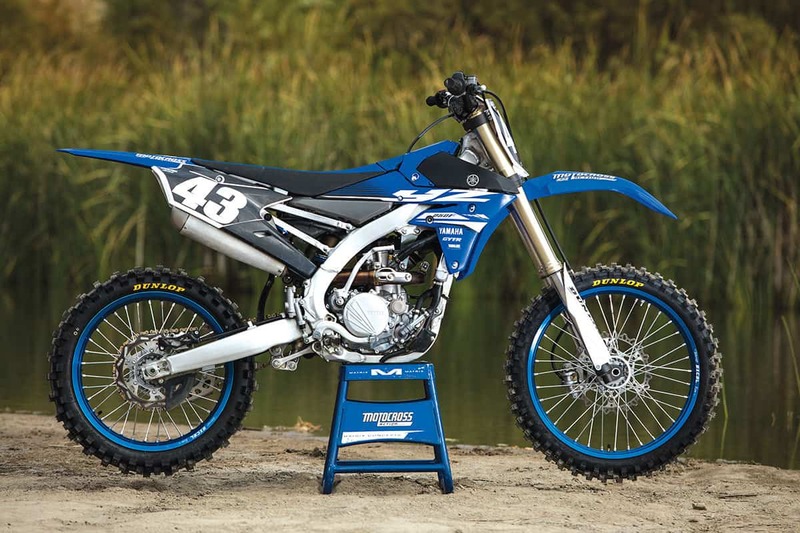 The YZ250F is comfortable to ride and has the best shock in the business. It tracks straight as an arrow and is extremely stable at speed. It offers great durability for a price that beats the competition. The YZ250F didn’t win MXA’s 250F shootout because it lacks top-end power, razor-sharp handling and the svelte feel of its competition. Aftermarket engine builders can make a KTM fighter out of this bike, but it will cost you. Honda changed its strategy for 2018. Its previous torquey, low-end horsepower engine hadn’t been cutting the mustard for years. It was good for Novices but wasn’t even close to the top-flight competition. CRF250 sales were down. Red riders were switching to orange, and Honda knew it needed to do something. 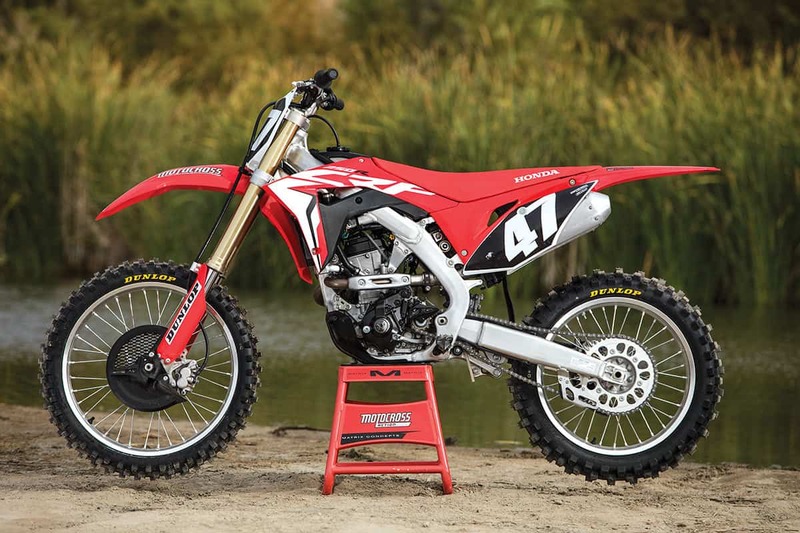 The 2018 CRF250 was a total departure from the 2017 model. The all-new 2018 CRF250 handled like a dream. It was so ergonomically comfortable that every test rider felt at home on it instantly. Its suspension settings were spot-on; however, once you twisted the throttle, you knew something was wrong. The bottom end had vanished! The midrange was mediocre. To be honest, the narrow powerband felt like that of a pumped-up 125 two-stroke. It was all top end and no bottom. It gave up 4 horsepower in the middle and 4 horsepower at peak to the class-winning KTM 250SXF. We love the rolling chassis, but the new DOHC engine is a heavy, finicky, hard-to-ride, pipey letdown. The 2017 KX250F was boring. It didn’t have enough flair to get your blood pumping like the 2016 engine that MXA test riders so adored. In a surprise move, Kawasaki threw out its four-year production schedule and gave the 2018 engine some revisions that gave the powerplant a personality. MXA test riders didn’t like the three stock maps that came on the KX250F, so we made our own with the KX FI calibration kit. Our map was better all the way through the powerband. Apart from the improved power, we love the way the 2018 Kawasaki KX250F corners. It can be hard to get into the corner with its harsh forks, but once in, it turns effortlessly. We think Kawasaki made the Showa SFF single-spring fork worse with its updated settings. The forks have a harsh spot, and the shock spring is too stiff for its target audience. We rated it fifth, but it had a close boxing match with the Honda CRF250 for fourth that wasn’t decided until the 12th round. 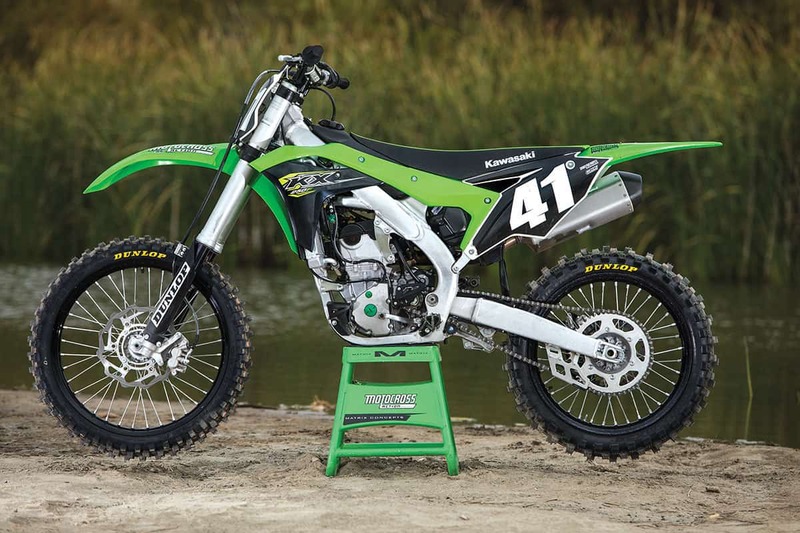 The KX250F lost due to its subpar suspension. 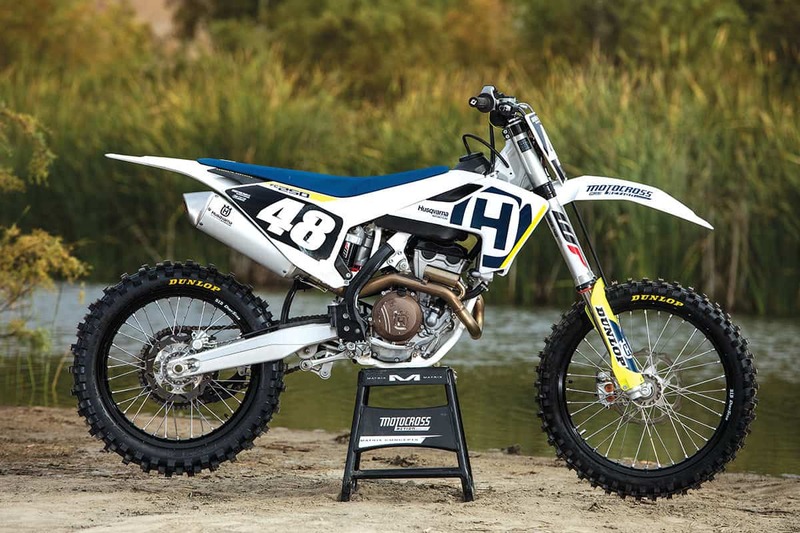 This bike is off the radar of the 250 four-stroke racing world—way off. The only reason a serious motocrosser would race a 2018 RM-Z250 is because he is being paid to race it, got it for free or was short on capital when he walked into the showroom. It would cost $5000 to make the RM-Z250 engine run with a stock KTM 250SXF’s power output. With that said, an entry-level rider would find this to be a good starter bike, thanks to its usable low-end powerband and precise cornering. 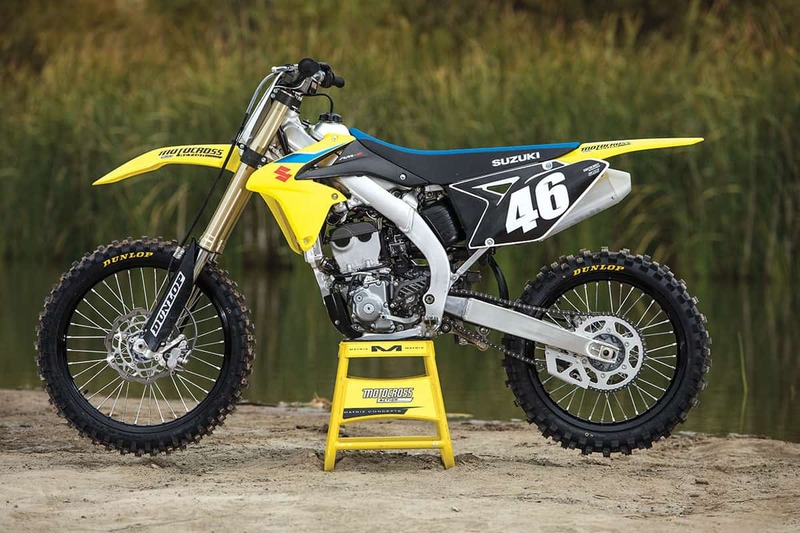 Although there is nothing terminal about the RM-Z250, it just isn’t competitive. It is in desperate need of some serious revisions to keep it from falling into the playbike category. Sadly, this machine seems to have been minted 10 years ago. The 2018 Suzuki RM-Z250 is slow and heavy. We imagine that for 2019 Suzuki will come out with an all-new RM-Z250. Why? Because it has to.